While spring officially arrived three weeks ago, the weather seems to have had other ideas. 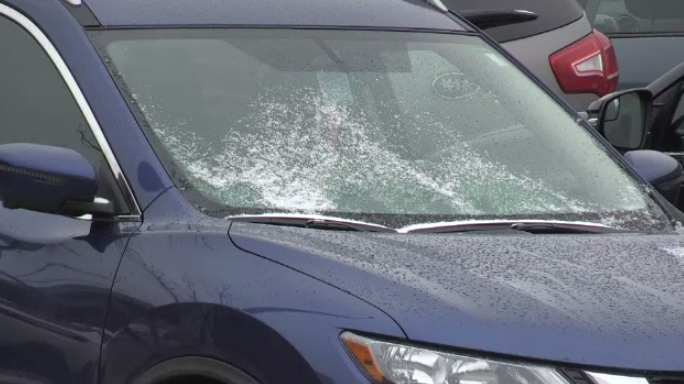 Most of Waterloo Region was covered with a thin dusting of snow Thursday morning as temperatures dipped below freezing. It’s been a long, cold winter by any standards, but for many international students experiencing Canadian weather for the first time, the late snow is cause for confusion. “I was not expecting snow in early April, last week only I got my tires changed and now I’m thinking of switching again,” one student said. Another student mentioned having to dig out winter clothing, but was happy that the forecasted snow was brief. The good news for anyone sick of the weather is that April’s late arrival won’t last long: warm weather and rain are expected on Friday. Waterloo Region got a light dusting of snow in early spring, as seen here on April 11, 2019.